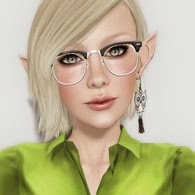 and lots of cute and amazing new items in SL! Sidney and I enjoyed a hot chocolate in the garden when this little cheeky chipmunks came along and stole our cookies. We had much fun playing with this sweet creatures.